I love board games (especially Monopoly) and I love PE so it was a perfect match to create a resource that connected the two. I did this in class the other day and was amazed at how much my students moved, but more importantly how they didn't even realize they were exercising because of how engulfed they were within the actual game. 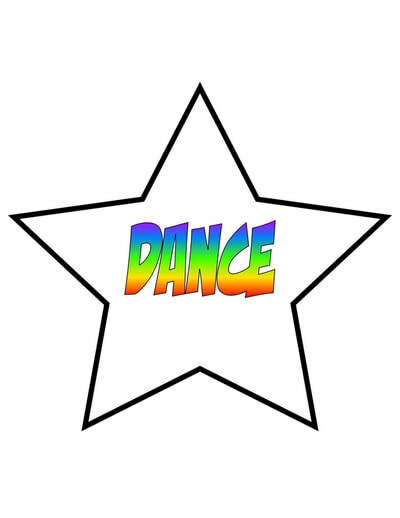 As students rolled their dice and performed the exercise cards, I slowly added mystery stars in that would enhance it every couple of minutes. I would turn the lights out if they landed on green, create a 30 second dance party if they landed on a red star, the entire class would have to rest/sleep when they landed on yellow, and I even built in mini activities and paused the game as students raced around the board to complete as many rounds as they could. Talk about a magical resource. A resource that brings students right into the middle of imagination. 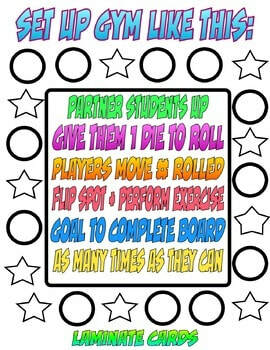 I am sure that many Physical Education teachers already do some form of board game PE in their classes and that's awesome for our profession and even more so for all of our students. 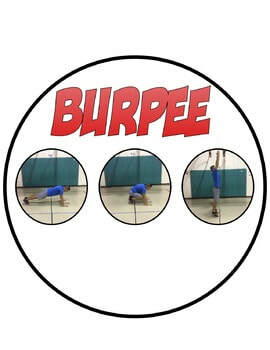 This resource comes with exercise circles that act as board pieces and it will definitely save you time and energy as you reinforce exercises taught. Take a chance, roll the dice, and see where you land with this interactive and fun resource!